How a film about safeguarding the future of our food was beamed to more than 200 million homes around the world, encouraging governments to pledge $300 million to preserve the world’s crops for future generations. PLMR was asked to capture the seeds’ journey on video and in photographs, for the Crop Trust website, and for global print and broadcast media. Our Head of Broadcast, Mike Ramsden, travelled to Svalbard, and filmed in temperatures of -18 degrees to capture the moment the seeds were extracted from the Vault. After following them as they left the island, he captured their arrival in Morocco on video, and the crucial inspection of the seeds by scientists, to make sure they had survived the journey. Mike edited the video on location, allowing the crucial moments in the journey to be released to international broadcast media, almost as they happened. Broadcasters such as CNN and Discovery Channel used PLMR’s footage in their reports on the seed transfer, and hundreds of print and online publications used his photographs, which were distributed by Reuters news agency. 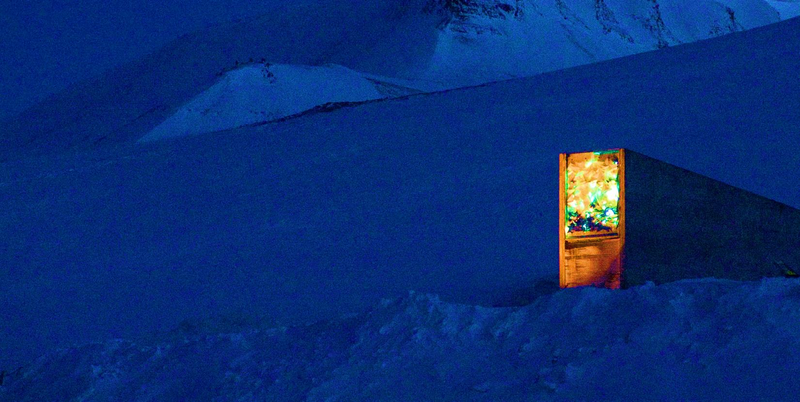 The resulting media attention allowed the Crop Trust to educate people about the global importance of the seed vault, proving its worth.